I’ve said it before and I’ll say it again: the mason jar is the LBD (little black dress) of the crafting world. Mason jars are so versatile and you can do so much with them! 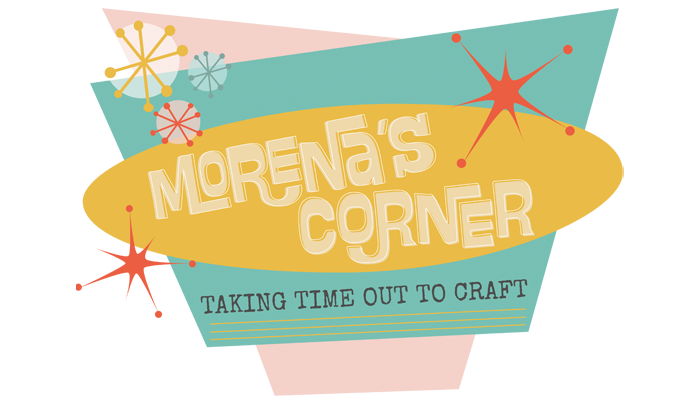 I’m joining up with several crafty friends to share a variety of gifts that you can give that are packaged in mason jars. 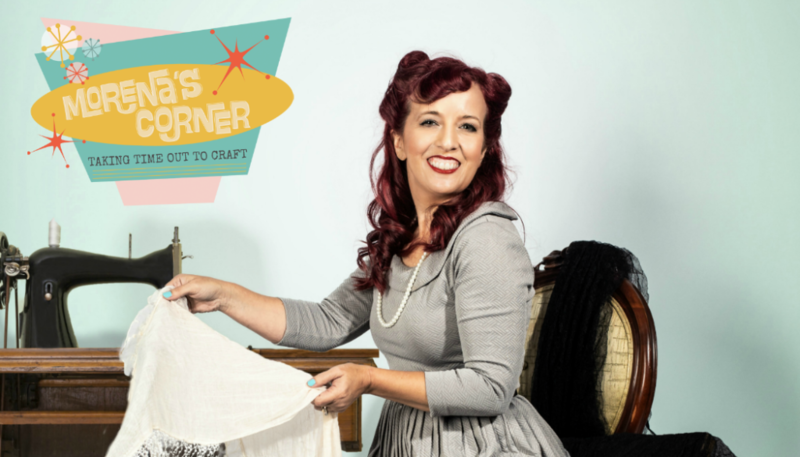 We’re sharing gift ideas for men, crafters, children, etc. 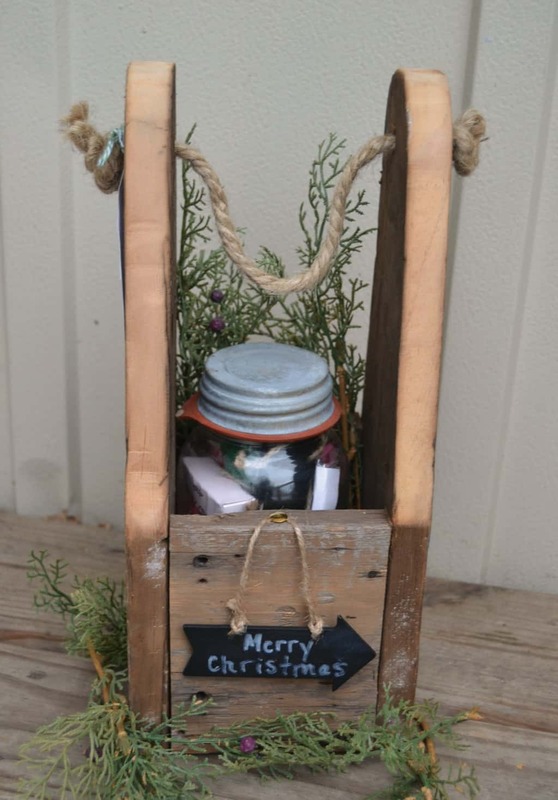 I’m excited to share a mason jar gift that a little boy (or girl!) would enjoy. 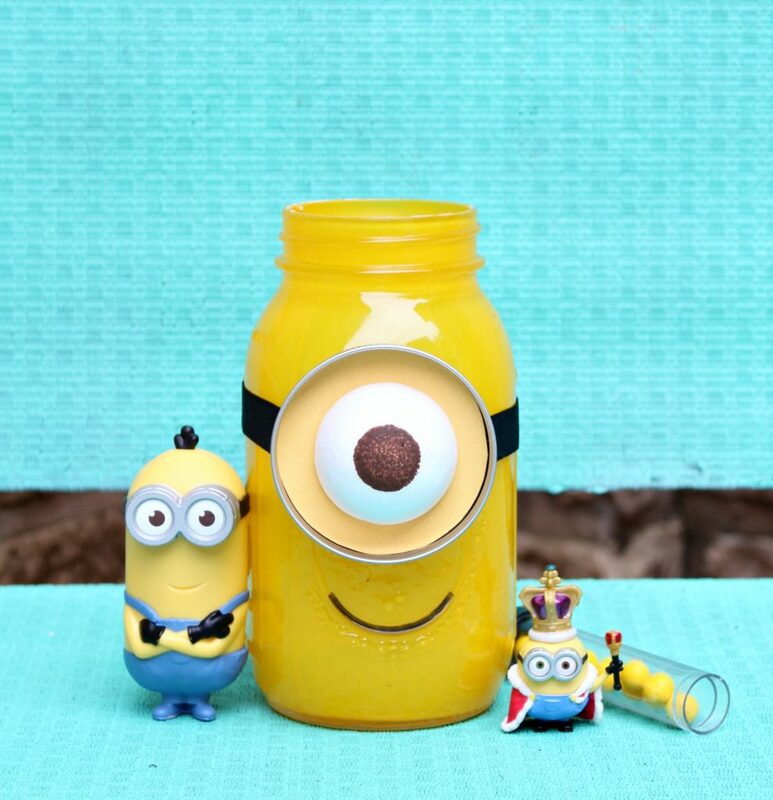 This Minion mason jar gift will make you smile. 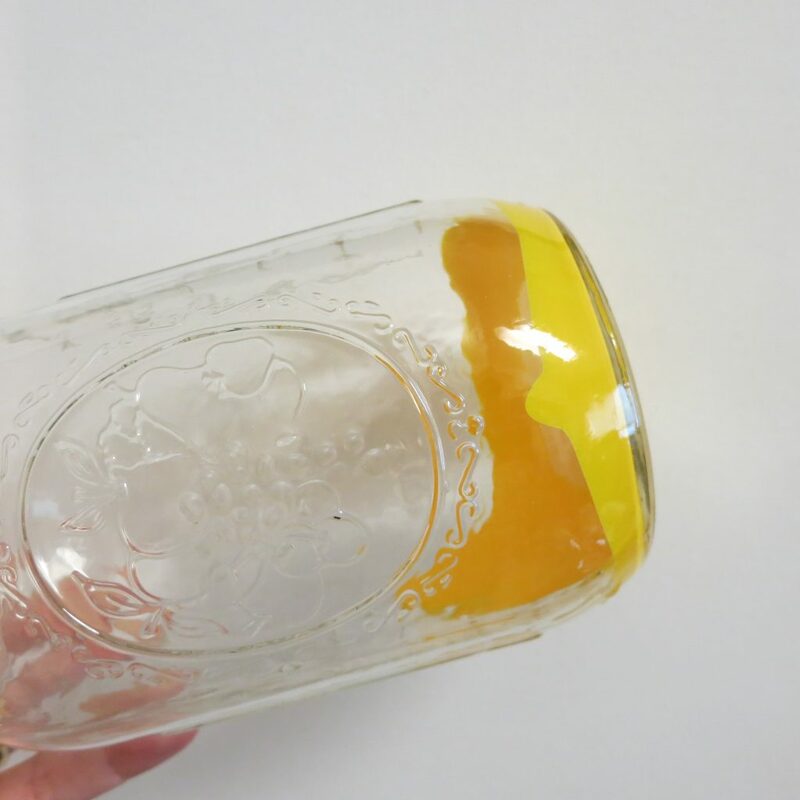 Step one: Pour a generous amount of yellow glass paint into the mason jar. 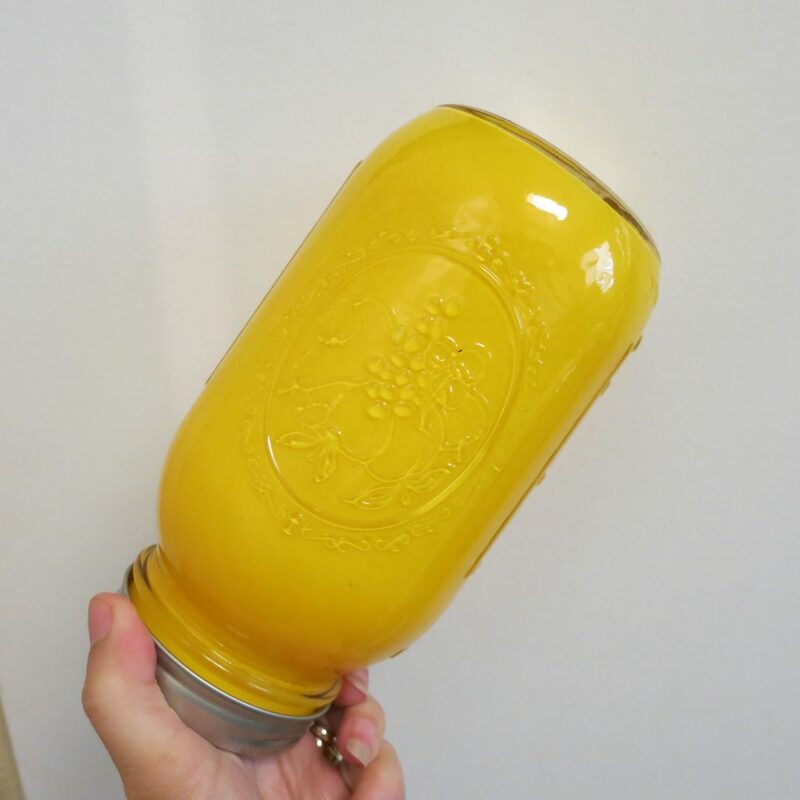 Replace the lid and shake the jar to cover the inside with yellow paint. Remove the lid, and hold the jar upside down to let the excess paint drip out. Let the mason jar dry. Note: To make the paint permanent, you can let it air dry for 21 days or heat set it in the oven. Follow the manufacturers instructions on the bottle. Keep in mind that the paint, even when heat set, is not food safe. 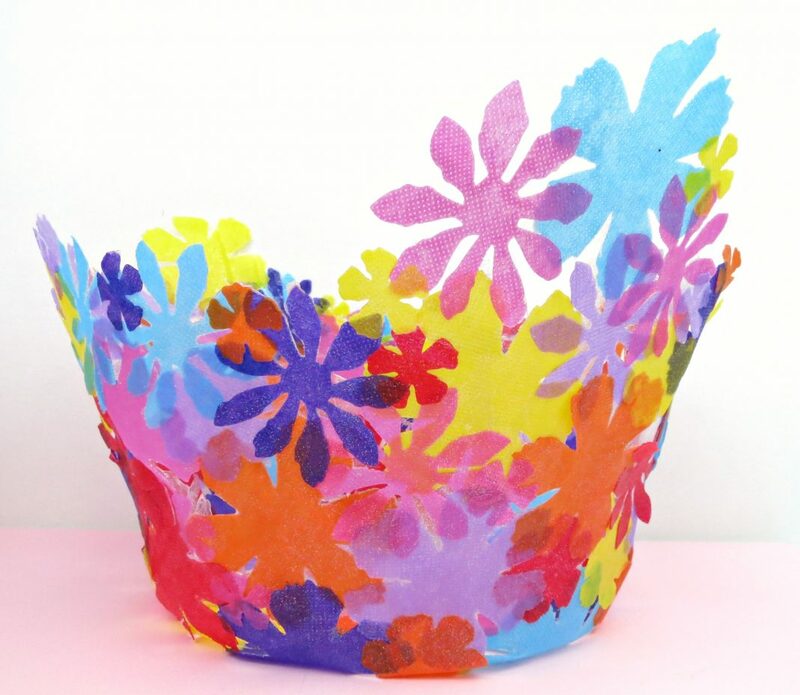 Step two: Trace the mason jar lid on yellow paper and glue it inside the mason jar lid. 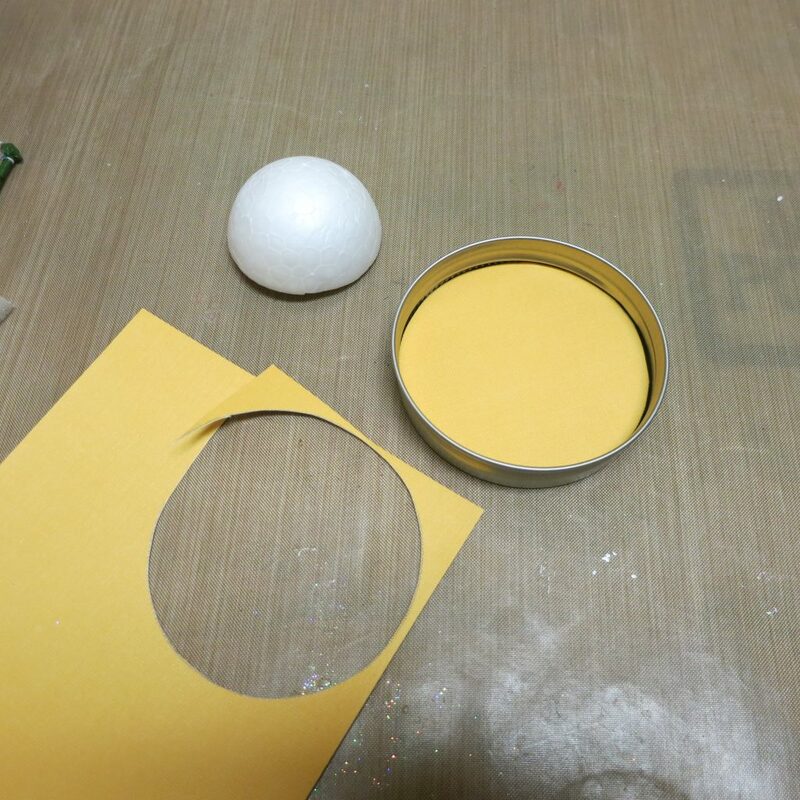 Step three: Cut a styrofoam ball in half, and glue it inside the mason jar lid on top of the yellow paper. 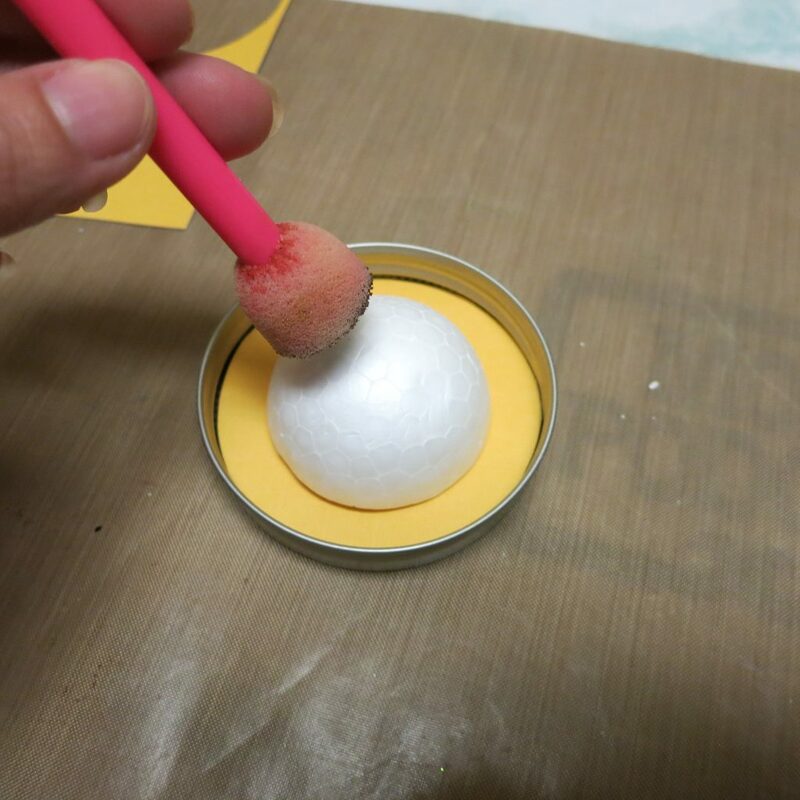 Step four: Use a foam pouncer to make the brown eyeball on the foam ball. Step five: Cut a piece of black elastic to fit around the mason jar. 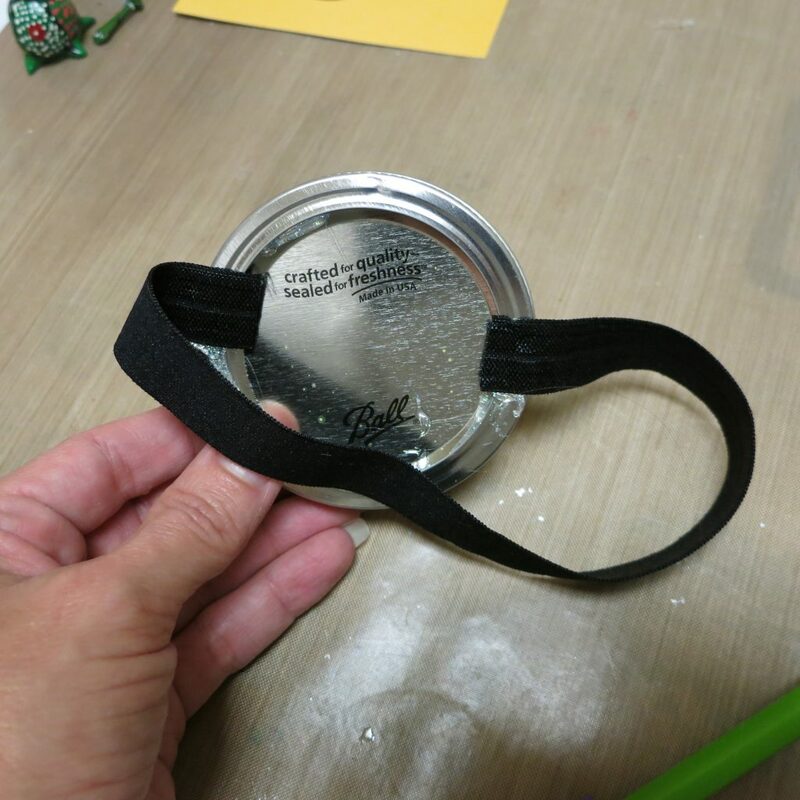 Glue the elastic to the mason jar lid, and place the “goggle” on the jar. Step six: Use black paint to make the Minion’s smiling mouth. Your adorable Minion mason jar is now ready for gift giving! I filled a new jewelry bead tube with yellow Sixlets, and added some little Minion figurines to the jar. You could even roll up a Minion t-shirt to stuff in the jar! Stickers, candy, and puzzles would also fit in the jar. 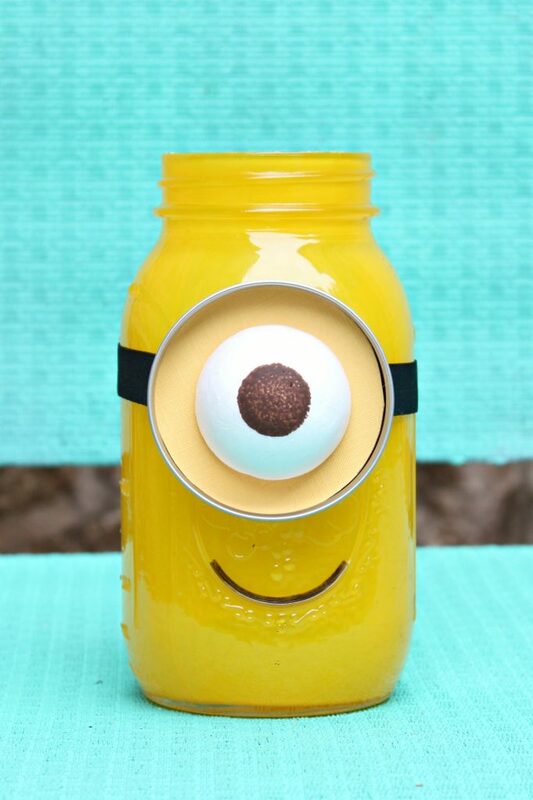 Minion fans of all ages would love this mason jar gift! Ready for more mason gift jar ideas? 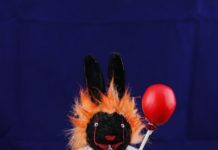 Check out these other wonderful gift giving ideas, just in time for the holidays! Patricia, I don’t know why the entire post didn’t publish! I’m so embarrassed! I had it all ready and then when I saw it this morning I was mortified that only one image had published. Yikes! Thanks for alerting me…the full tutorial is up now! So stinkin’ cute! I love this. I think it would make an adorable bank with an added mason jar bank lid! Might have to do that for my boys! 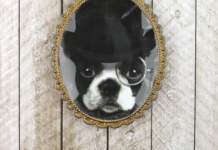 Hello cuteness! Morena you are so creative. I love the way your mind works. The styrofoam ball for the eye is genius! Pinned! This is sooooo adorable! Love it!